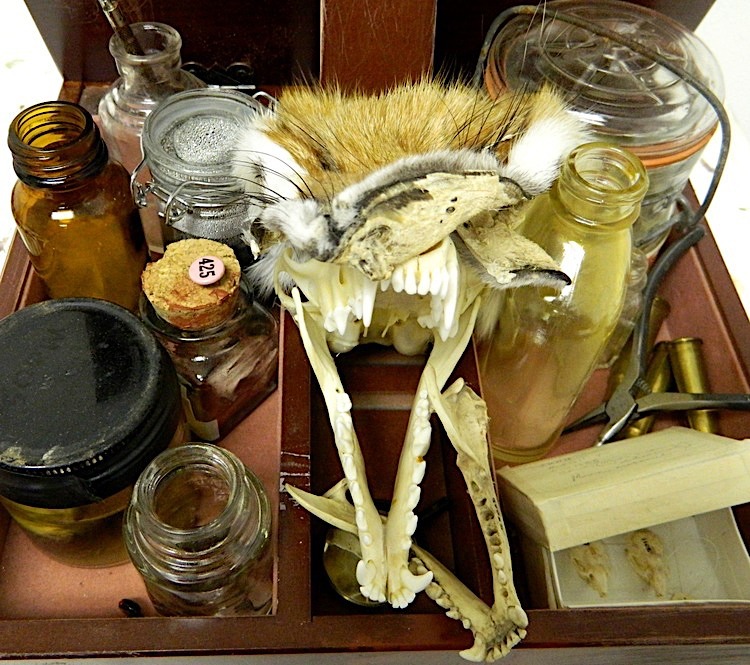 During my time as an intern in a forensic autopsy department, I spent many hours removing personal objects from each patient and cataloguing and studying them. 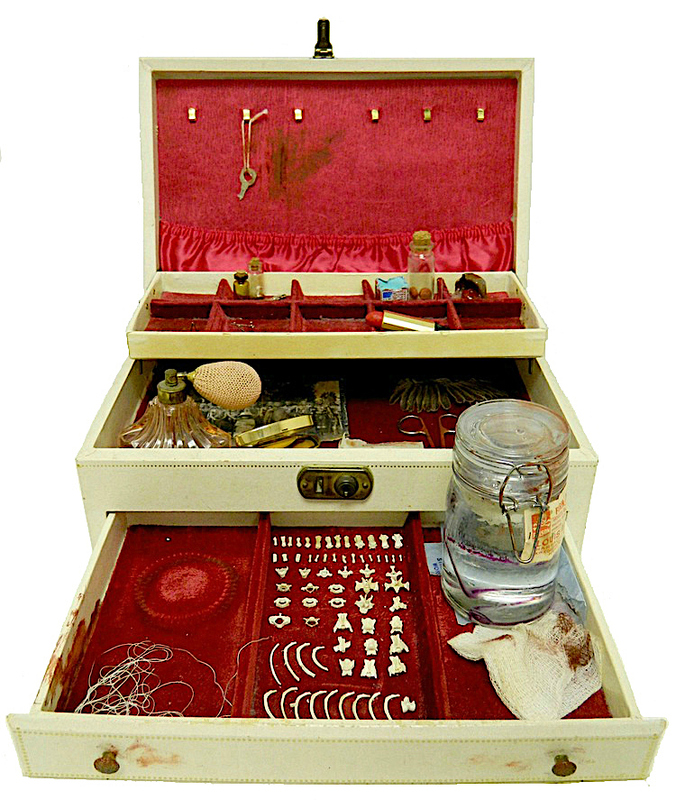 These boxes are inspired by both this process and my research into the lives of the museum preparators who created the African dioramas in the Akeley Hall of African Mammals. Each one has a story to tell.